Background: As part of the Education and Social Justice Project, undergraduate Anastasia Sendoun interviewed Mikhailo Shelemba, a student who previously served as president of student government at Ukrainian Catholic University (UCU), in July 2017. In this interview, he discusses his experiences with the Ukrainian system of higher education and how it can be improved, including providing more practical training and eliminating corruption. 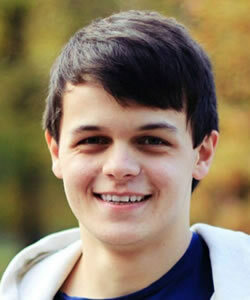 My name is Mikhailo Shelemba, and I am going into my fourth year at the Ukrainian Catholic University. I study philosophy and theology. I have also worked in the student government for the past three years, and this past year, was the president of the student government. Now, I am working in the restaurant business. The history of Ukrainian education is very interesting. The system started to change after Ukraine achieved independence because the young people that achieved independence understood that they needed to change the existing Soviet structures. Few institutions made these changes, but I think after the Maidan, we have begun to finally do so. Coming into UCU, I realized how unprepared I was—I had not been taught to learn. Education is important for me, but I like to know practically how I can apply what I am learning. There are many universities in Ukraine that have existed for a long time, but they are living in the past. The Ukrainian Catholic University is living in the future. How did you decide to study at the Ukrainian Catholic University? It was very odd, actually. UCU was the last university to which I applied and I only applied after speaking to someone who worked at a different university in Lviv. I asked her if I should apply to the university where she worked or to UCU. She told me that if I actually wanted to learn, I should apply to UCU. There are few barriers to access to higher education in Ukraine. I actually think that fewer people should enroll in universities because there are currently too many. Oftentimes, students go to university because there is a certain stereotype that if you don’t have a diploma, you are a loser. We need to work toward achieving a system that is of a high quality in which people understand why they want to attain a diploma. Where do you think this stereotype of needing a diploma comes from? How do you envision an ideal system of education in Ukraine? I know that Ukraine will never have an ideal system of education. However, for me, this would mean a system in which people have a clear understanding of why they want to attend an institution of higher learning. Second, classes would provide students with practical knowledge in addition to theoretical knowledge. And third, there would be more professional preparation of students so that they knew exactly how they could use what they were studying in their careers. Finally, I would say this system would not have any corruption, since virtually every university in Ukraine is somehow corrupt. For me, I immediately think of the phrase “If I have freedom, I have responsibility.” If everyone were to feel this sense of responsibility, then there would be social justice. This is also an understanding that just because I have a certain perspective on something, this does not mean that everyone will think the same way. These norms need to formed at the societal level and then they will exist at the level of the government, since not everything can be top-down. These values need to emerge at the level of society first. I don’t think many people in Ukraine think about social justice. If they do, they think about it in material terms. Everyone thinks that everyone should be materially equal. How do you think this notion of social justice can be developed at the societal level? It is always being developed. It is being developed at the present, particularly after the EuroMaidan protests. We now have a culture in which it is considered good to question certain parts of society. Before, this was not the case. We had a culture in which nobody thought about questions of social justice. I think these questions should be generated at the university level first. There is lack of a sense of social responsibility. There are often disagreements around topics of social justice, and we do not respond to these questions. We do not understand that we are responsible for ourselves and our actions. How do you envision the future of the Ukrainian Catholic University? I envision it as the kind of university in which I would like my own children to one day study. I would proudly be able to say that I was here when it was just being built. This is because I naturally would want the best for my kids, and if they choose this university, that means it is the best. I would want them to develop in this kind of environment.